Previously on “Using Trello like a Pro,” we talked about the under-the-surface features that make using Trello super fast. We didn't even come close to exhausting all the cool stuff you can do and since we’ve added a bunch more, we decided to continue the series. This is our second installment. 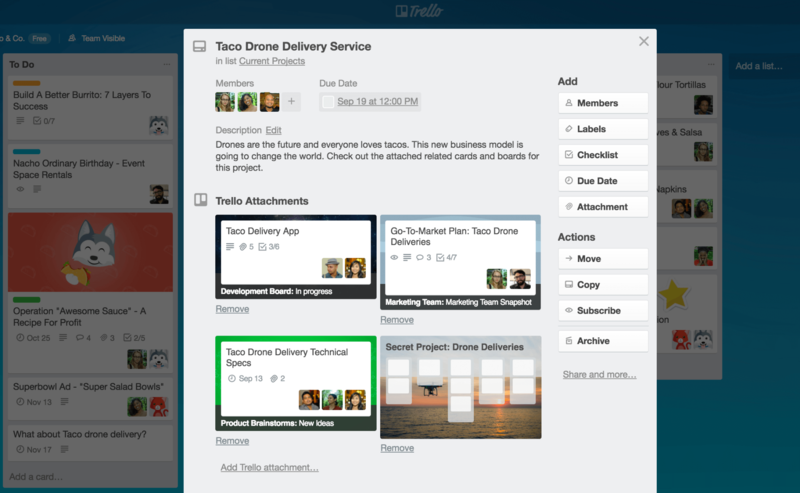 Also check out the later installment Using Trello like a Pro: Part 3. This handy infographic lays out all the keyboard shortcuts available in Trello. Use the “t” shortcut to edit the card title and the “e” shortcut to edit the card description. You can also hover over a card, press either one, and the card will open up. You can then begin editing the chosen field. When composing a card, you can hold down “shift” and press “enter” to create and open a card immediately. This is much nicer than hitting enter, closing the composer, and clicking the card to open it. You can also press “j” and “k” on your keyboard to select the card above or below the current card. They do the same thing as the up and down arrows. Press “enter” with a card selected to open it. You can also press “n” while hovering over any card to open the card composer right below the selected card. As always, you can hit “escape” to close and cancel any editable fields, popover menus, or dialog windows that are open. Adding multiple cards or checklist items can be a pain. If you’re coming from a spreadsheet or Word document with a list of items, there’s an elaborate song and dance you’ve got to do to turn them into Trello cards. Select Text, copy, switch apps, paste, enter, switch apps, select text, copy… Ugh. Well, that problem is no more! When you want to create multiple cards or checklist items at once, you can copy a spreadsheet column or list separated by new lines from a word processor, paste into the card composer or add checklist item field, and hit submit. It will create a new card or checklist item for each line in the list. This won’t interfere with the quick and easy press-enter-to-create-a-card method; it will only work when pasting text. It’s a little time-saver that’s there when you need it. It turns out people use checklists quite a bit, so there are a few ways to make them more flexible. For starters, you can reorder checklists. Just click and drag them. You can also drag checklist items between checklists in case you want to move all your items over to your co-worker Amy’s checklist, for example. Checklists appear in the order you created them, instead of alphabetically. If you’ve crossed off a lot of items from your checklist and no longer need to view them, simply click “Hide completed items” in your checklist and those items will be removed from view so you have a clean list as you tackle your tasks. Once you’re a Trello pro, you’ll most likely have tons of boards, cards, and applications you use on a daily basis. At times, it can be difficult to keep track of them all. We broke the board barrier so you can embed Trello cards and boards to your favorite apps like Bitbucket, Dropbox Paper, appear.in, Confluence Cloud, and more. 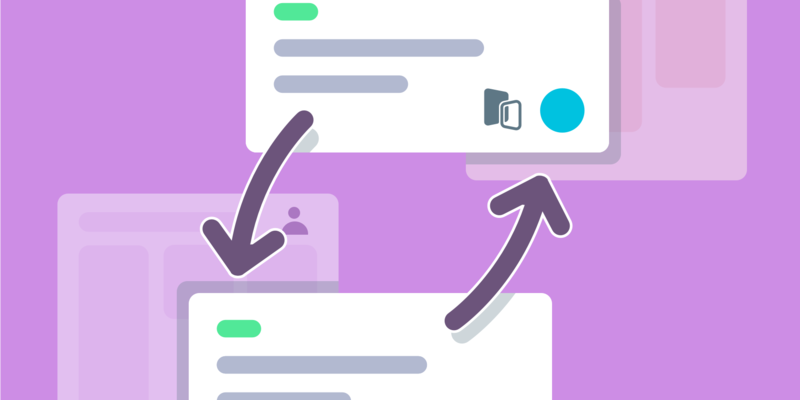 By embedding Trello cards and boards inside the apps you use to plan, work, and communicate, teams can stay connected and see who’s doing what (and what needs to get done) without switching apps. You can manage multi-board and card projects by adding Trello boards and cards as attachments to cards. It’s really simple — on web or desktop, click the “Attachments” button on the back of a card, select Trello, and search for or enter the URL you wish to attach. Trello will also automatically pull in the last five cards and boards you’ve visited to help save you some time. Another easy way to attach a relevant card or board is to copy the URL from the browser window, mouse over the card you’d like to attach it to and hit Cmd+V. In fact, you can mouse over any card and hit Cmd+C to copy it and then mouse over another card and hit Cmd+V to paste it. 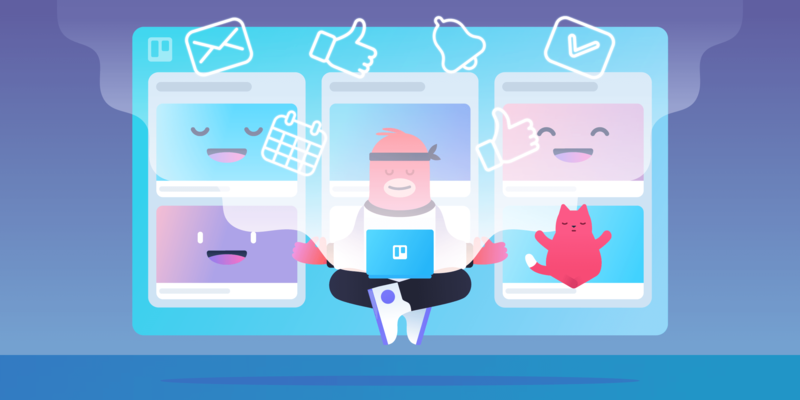 If you’re looking for even more ways to hone your Trello skills, hop over to our Getting Started Guide to dive even deeper into the features and functionality. And if you’re ready to learn about Power-ups, Trello Gold and Business Class, Trello Home, and how to customize your boards, read Part 3 of the Using Trello Like a Pro Series here.